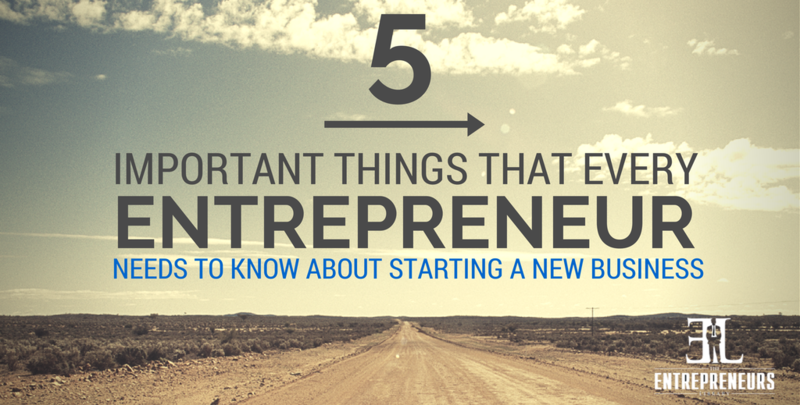 Starting a new business can prove to be advantageous. Along with the opportunity to do what you love, it also gives you the chance to have a flexible schedule and make money from it. Nonetheless, all of this will only become a reality if you are aware of the basic and important things that matter. Every entrepreneur needs to start right to achieve success. And to do it, you need to have the right knowledge and clear ideas. This will help you chart out the course of action you need to take to achieve success as an entrepreneur. Well, the Internal Revenue Service needs you to get your Tax Identification Number. But that may not be all. Depending on where you decide to open your new business, there may be few, or many, more legal requirements. Check with your local small business association or you can go online to the US Small Business Administration for help. You may need to fill out forms, submit documents and get licenses and permits to start a new business. It is best to talk to a business consultant to get a clear idea about what you need to do to ensure that the legal requirements are met. It is important to plan your budget before you take any step in this direction. Work out how much you will be able to invest initially, what expenses do you need to meet immediately and how much do you need to make to break even. Also, don’t forget your own finances. You’ll still have to pay your rent, health insurance, and other bills. If necessary, take up a part-time job for the first year or so. It will be hectic, but you need to have a certain amount of cash to fall back on, if anything goes wrong. In most cases, a sole proprietor has the entire liability for the losses incurred. This may mean that your personal assets may be at risk if it fails. The advantage is that you get to enjoy all profits. But it’s best to be sure about liability in advance. Get in touch with a business attorney to understand the different forms of business you can start. And discuss about the liability of each category. Once you are aware of the matter, you can make an informed decision about it. For an affordable solution in getting started with an attorney we recommend LegalZoom to get you started in the right direction. You cannot be successful without a properly put together business plan. In reality it is a summary of how you want to organize your entrepreneurial endeavor and chart out the activities to make it successful. Talk to seasoned advisers and successful entrepreneurs, analyze examples and read up as much as you can before you make your business plan. You can also outsource it; but it won’t be of any use if you aren’t clear about each point of the plan. When you decide to start a new business, the first thing you need to identify is who will you sell your product or service to. This decided, you need to find out the way in which your product or service will be of use to them. Ample research and detailed understanding of the target market are essential before you begin. This will help you come up with a business plan that works. And will also help you to decide the marketing strategies you need to put in place to attract them. Starting a new business is a huge task; and you need to put in 110% of your effort to achieve real success. The perks and benefits of owning and operating your own business are quite attractive. However the flexibility to work on your own time will only arrive if you are willing to put in a good 60-80 hours per week until you are ready to hire help. These tips are a great starting point for anyone considering to begin the journey of entrepreneurship. The 5th tip, “understanding the target market”, is often incredibly understated, and so vitally important. Most entrepreneurs start out by defining their target market as a generalized group of people. But we really need to narrow down and focus on a single person in that audience – a real person with specific needs that we can meet. If we can find that one person, connect with them, and figure out how to help them, that – in itself – is huge for any entrepreneur. Wade, such a big help seeing these laid out. Thank you, such a perfect package for any entrepreneur starting out to consider! Great post Wade! Sending this out to my network! Thanks for another awesome post! Awesome, Wade. Great content and tips! I agree with the comments above. The entrepreneurial leap is not meant to be done spontaneously on a whim. It requires consideration and planning. Great tips, tools, and suggestions. You cover all the bases with this one. Thank you.